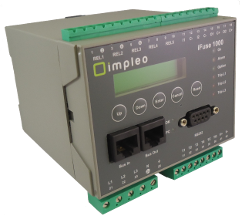 Impleo solutions are high tech products, created by our engineers from your point of view. The products below are designed with advanced technologies resulting in simplicity for the end user. Please click on the tabs below to navigate. 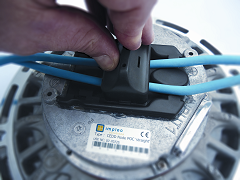 An intelligent and cost-saving cable and management system, a public lighting application par excellence. 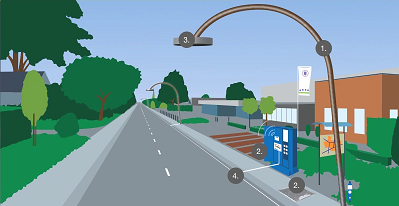 A modern, safe and costs saving street lighting concept. An innovative contactless energy and data communication technology.